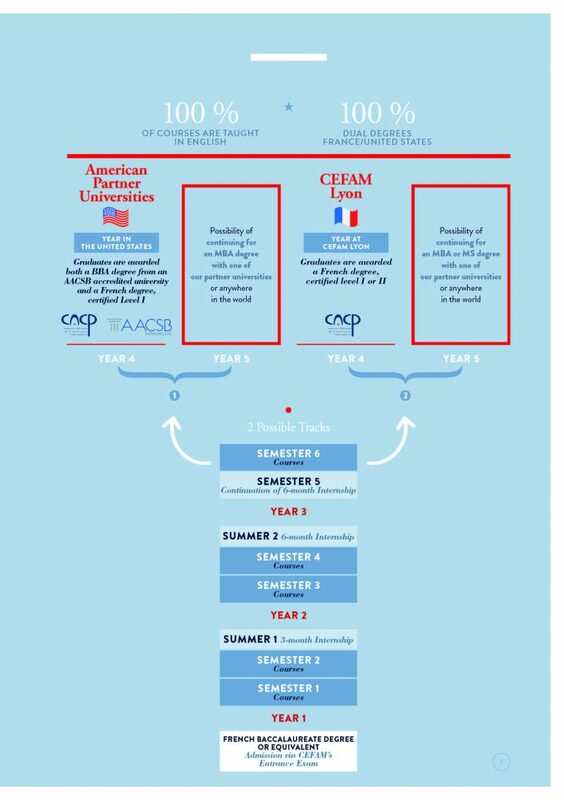 At the end of this 4th year, students obtain both the BBA from the American University and the CEFAM Degree, certified Level I by the French government. On average, tuition fees per academic year for the first three years at CEFAM in Lyon cost approximately 7195 € per year. Tuition fees for the 4th year (senior year) in the United States vary according to the university and range from $32,000 to $40,000. Tuition fees for the 4th year (senior year) at CEFAM in Lyon, France cost 9,750 €. Approximate cost per year for the first three years. Tuition fees for the 4th year (senior year) in the United States vary according to the university (if in the US or if in Lyon at CEFAM campus).